Celebrating the past and looking forward to the future! Many of our supporters have been with us since the beginning. But there are always new volunteers and donors joining our cause. I want to take this opportunity to illustrate how long we’ve been growing the RCH community and what a huge benefit of mutual support and learning it has been! I began the RCH with three core values which continue to be a guiding light for our work and that have allowed us to have an increasing impact on the community. A fourth value was added shortly after opening that has enabled us to support more members in the community. 1. 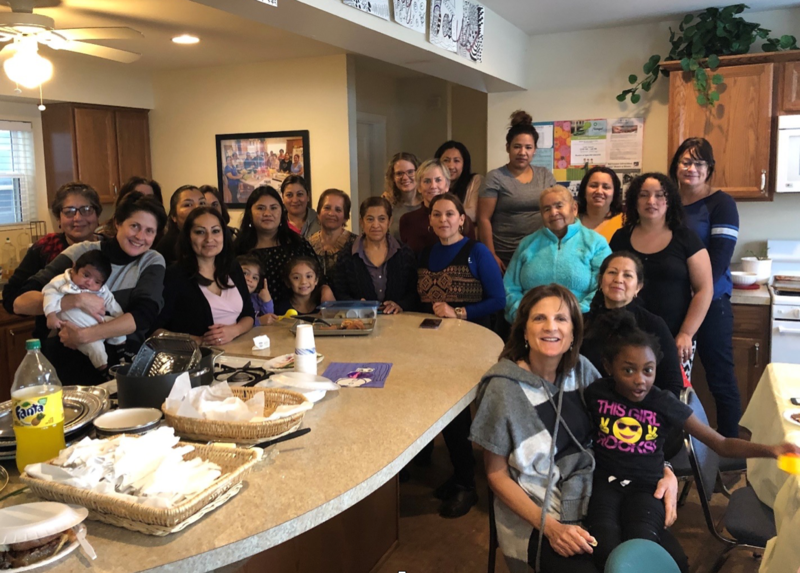 To provide a safe, welcoming space where neighbors of all ages can support and learn from one another as well as develop and utilize their leadership skills. I began with the hope that once a safe gathering place was provided a community would be born. Neighbors could truly meet each other, share resources, and learn and participate in a wider social circle. Soon phone numbers were exchanged, friendships formed, and people began to relax and feel comfortable knowing that they had others to support them. And here we are seven years later and still growing strong! We started with the Junior Green Youth Farm and have since expanded to over twenty programs. 2. To partner with our neighbors so that together we can determine need and decide upon the programs to be offered. Our biggest partner has always been the community. Our neighbors shovel snow and weed gardens, they volunteer at events and prepare food for parties. We listen as they reveal where they need support and together we come up with viable solutions. It became clear from the beginning that many women who received food from the nearby food pantry had no idea how to prepare it. 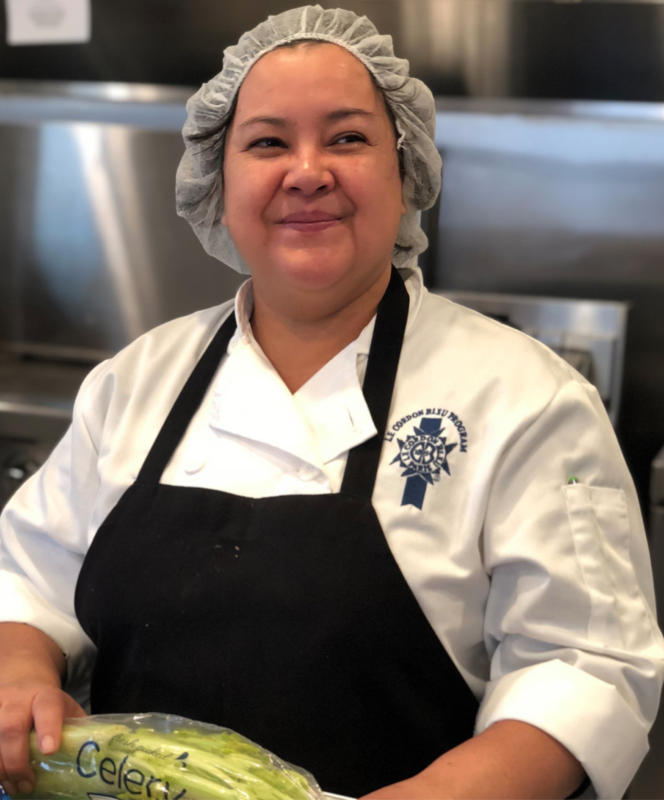 Our Food, Fun, and Friendship cooking class quickly took root and blossomed into a place where friendships formed and where healthy meals were prepared. We have offered over 50 crock pot classes and added cooking classes for the kids as well. Community members also mentioned a need for an English class and then got things going. This class has since evolved into an English and Spanish class with everyone a teacher! Our after-school program started as a safe place for kids to go after school. It has grown in scope over the years and now is offered two days a week and provides a full meal, homework help, craft projects, science experiments, games, a library where kids can check out books, and much more. 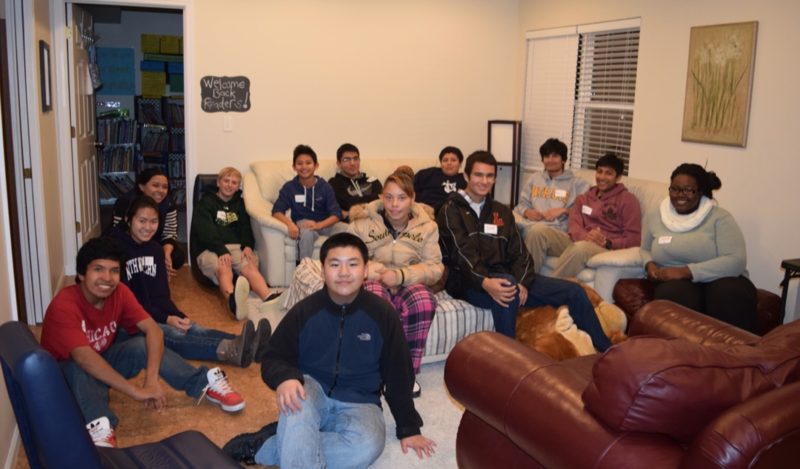 Many students have been coming for years and are now part of our volunteer force. In all of our programs many students have become teachers, volunteers and leaders. That’s a growing community! 3. To partner with other organizations in order to strengthen and enhance community services rather than duplicating already existing programs. We have developed collaborative relationships with hundreds of organizations. This extensive network has opened the doors to a variety of critical services for our neighbors. Keep a strong focus on the many aspects of wellness such as nutrition, yoga, drumming, and our long-standing, energetic, walking and fitness club. We are the first in our area to offer nutritional slow cooker classes to low income families. 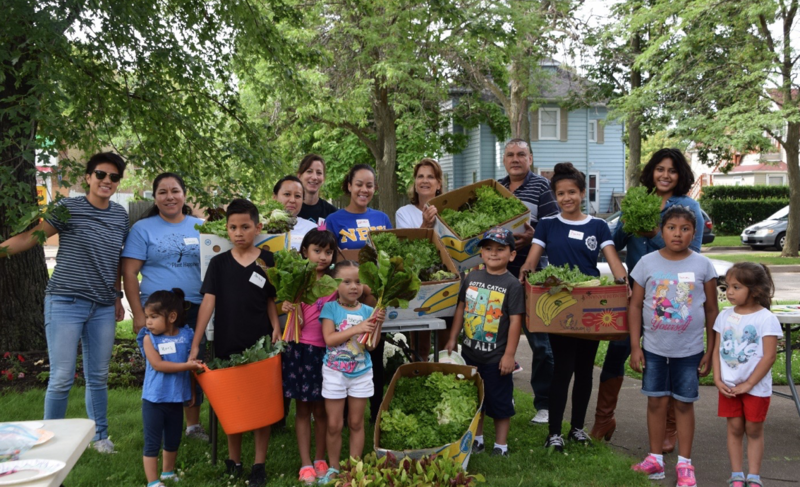 Establish a community garden in partnership with the Holy Family Food Pantry. Provide fresh fruits and vegetables to families residing in a food desert thanks to a long-term collaboration with area farmers. This addition to our core values started six years ago when the moms in our sewing class decided to knit and crochet hats for cancer patients. Giving back is a natural progression for a healthy community and is a sign of continued, strong growth. Making sandwiches and distributing food and hot coffee for the homeless together with the Holy Family Food Pantry. 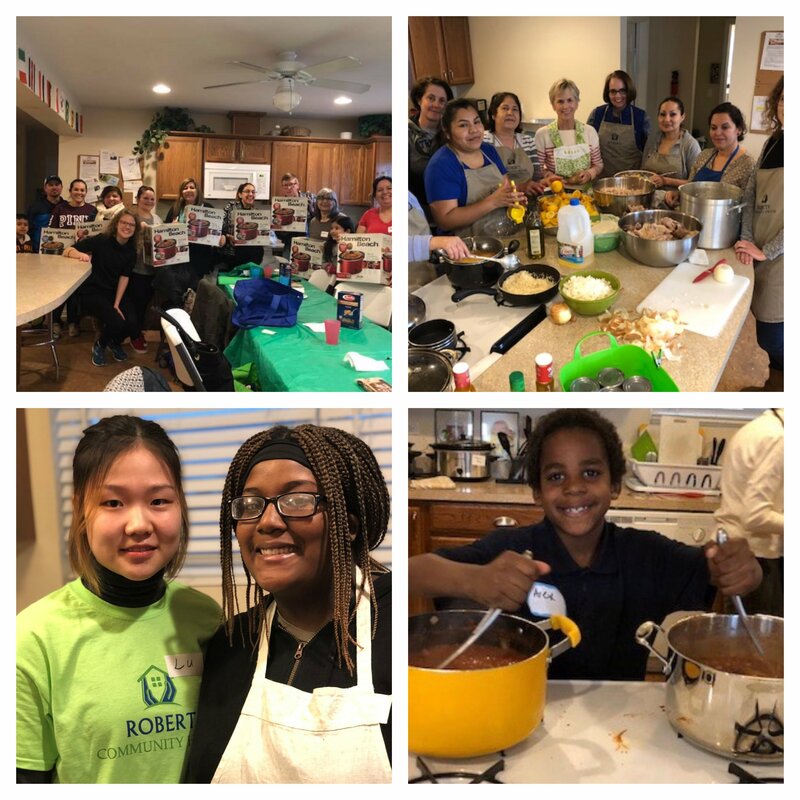 The newly created Roberti Community Pathway donated 8,588 meals this year to the community, including veterans, shelters, soup kitchens and civil servants. Yearly summer community clean up and maintenance of the gardens and distribution of fresh produce. It’s a tribute to our success and an acknowledgment of the benefits our services provide that these and similar programs are now being replicated by other neighborhood organizations. 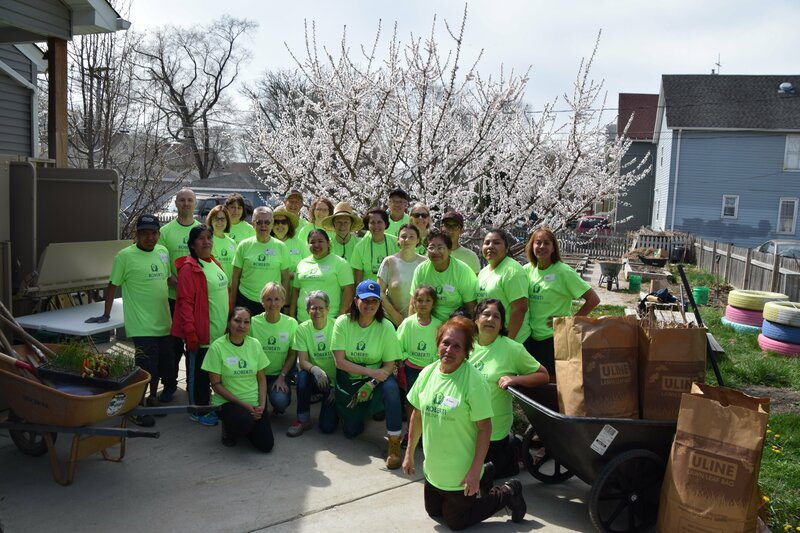 This may be the best form of flattery, but we believe that a wide variety of programs that compliment rather than compete, is the most efficient way for a group of organizations to serve our community. Numbers quantify our services but it is the human stories behind the numbers that we care most about – they speak to the heart of the RCH and why we do what we do. 53 crock pot classes since 2013, we handed out over 130 crock-pots and provided nutritional education. 5 annual Harvest/movie nights celebrated with community families. Over 10,000 individuals and their families have been impacted by all of our programming. Throughout 2019 we will tell you more about the wonderful and amazing people, young and old, who come to the RCH every week – so stay tuned! We hope you’ll visit our program and follow our adventures on Facebook. In closing, thank you for the enormous support you’ve provided during 2018 – we are truly better together! Wishing you and your family a happy and healthy 2019! Click the button below to sign up for The Scoop! Download our previous editions of The Scoop!